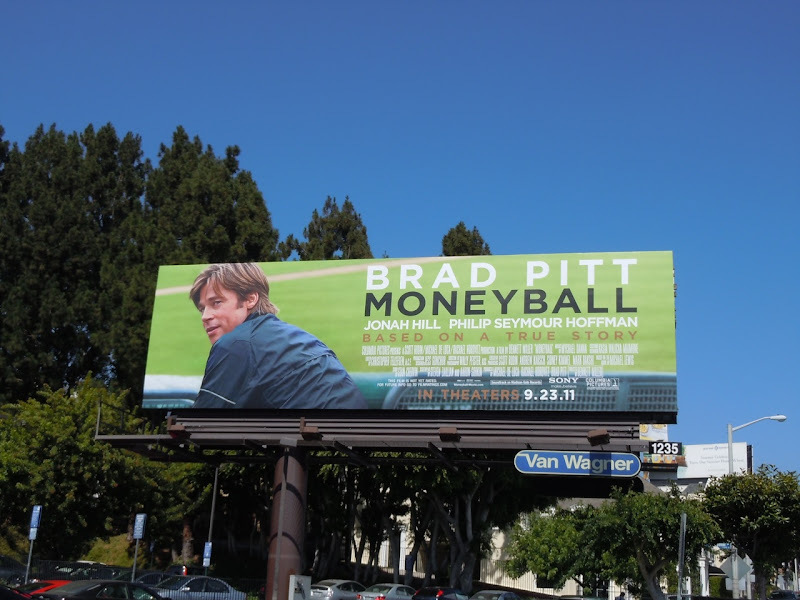 Brad Pitt's back and looking all sporty for his new baseball themed movie, Moneyball. 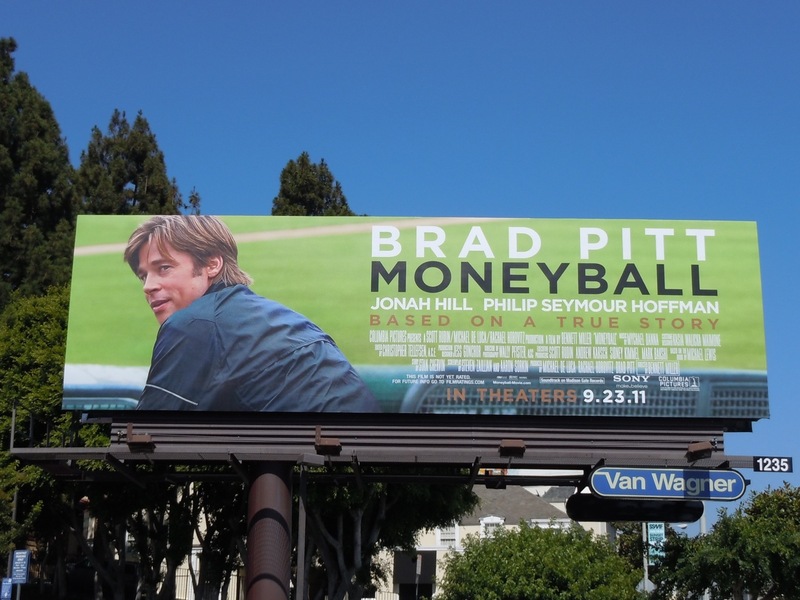 The film is based on the true story of Billy Beane and the Oakland Athletics general manager's successful attempt to assemble a major baseball team on a budget using computer-generated analysis and baseball statistics to draft his players. This bright, eye-catching billboard was snapped along Sunset Boulevard on August 15, 2011.